Follow the story on Instagram. Click the icon. 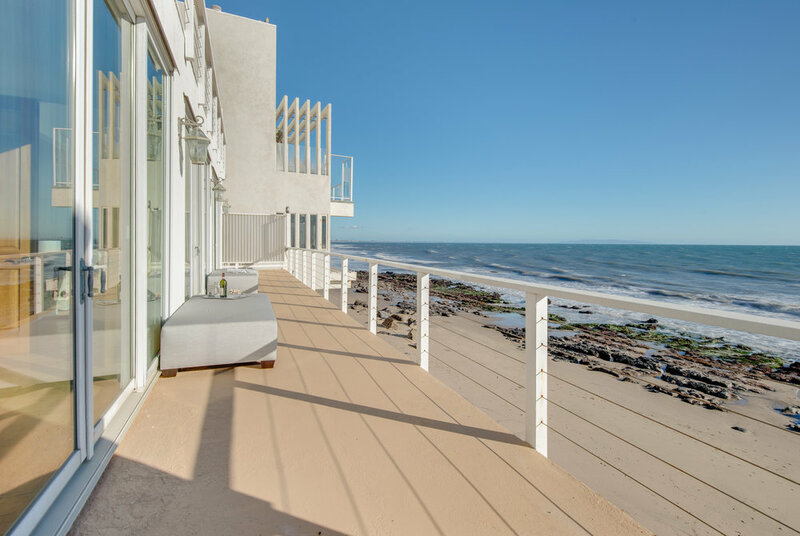 atrium-style courtyard, stairs rise to a house-spanning rooftop deck with spectacular views of the coastline. It offers room for expansive dining and seating areas, with conversations set to the music of waves. In the courtyard below, a double-door entry opens to a single sweeping room with minimal divisions. The high-ceilinged galley kitchen, dining room and living room spaces share a single vast wall of windows and sliding glass doors that frame whitecap views and the blue horizon. They and the master suite open to one long view deck. Two more bedrooms and a large, luxurious bathroom are on the downstairs level. A three-car garage completes the property. 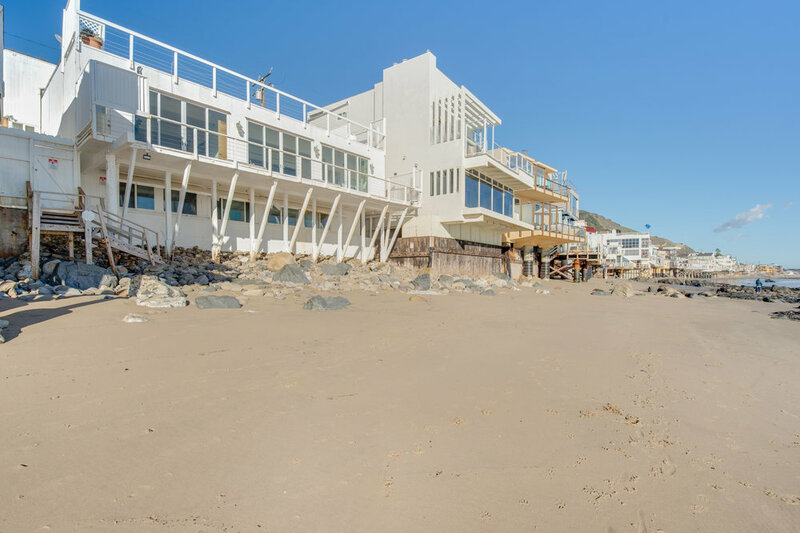 Set on the east end of Malibu Beach, the home is minutes from the Getty Villa and coastal shopping and dining.